Number 6's mom is one of my very best friends in the whole wide world. I say "whole wide world" because we grew up in different countries (she- Canada; me- America) but we both met in the country where we were born: Korea or as many call it "South Korea." I think it is so fitting that Number 6 is testing this product because it was her mother that taught me those four very important words when I was in a pit of DEEP despair. I had just broken off my engagement to the love of my life just two months before the big day. I'll spare you the details but let's just say, that for about a month, I could literally do nothing except smoke cigarettes and go shopping. To survive, I would make long distance phone calls to her when she lived half-way around the world and on one of the many days that I called her sobbing, she said these words to me: this too shall pass. 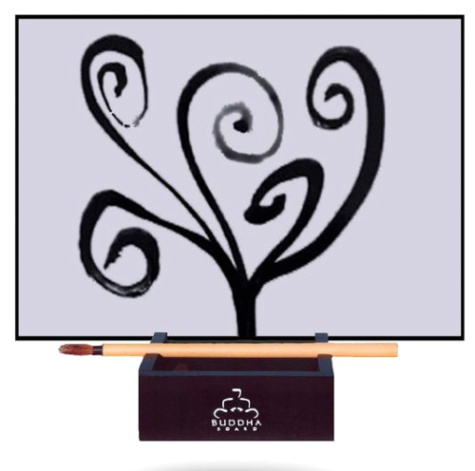 With Buddha Board, you are always guaranteed a clean slate. The symbolism is significant. And she was right. It really did pass. Fast forward sixteen years later and we are still friends and her family is now on the other side of the country, testing out toys for me. I am so grateful because this is one very busy family and with that said, within the 1.5 years that she has been testing for me, she has never asked me to look into any toy except the Buddha Board. After a visit to the incredible Asian Art Museum in San Francisco, her daughter fell in love with the Buddha Board. I adore Number 6 and she rarely asks for anything so of course, I asked for one to be sent to her and the results were beyond excellent. "She loves it and all her friends do too. I just bought one as a gift for a close friend," said Number 6's mom. "I think it's therapeutic for her to draw without having to make it perfect." 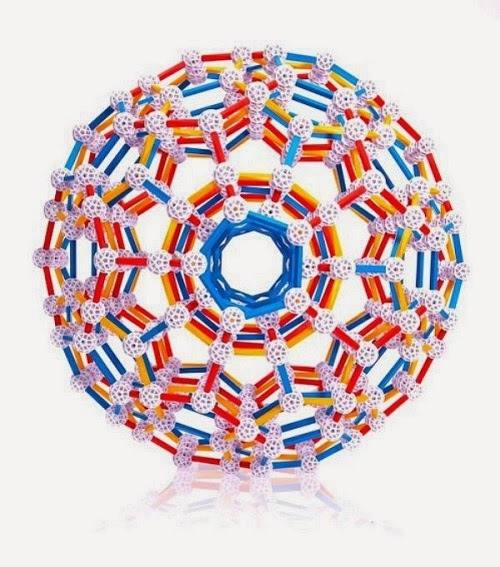 I'm not going to discuss this here but I am going to bet big money that this "toy" is an awesome fine motor strengthener. Just like writing on a board, brush painting requires that you maintain not just your hands but your arm and core trunk muscles too. I was surprised to hear this. First, I didn't quite get how writing with water could be fun. If anything I would want to draw and then have it dry really fast so I can draw again. Additionally, Number 6 is a great artist. She really is. Thus, even knowing that she had concerns about perfection was news to me. But like I always say, great toys usually end up being perfect for both the novices and the very talented. The motivation, the curriculum, the learning is sort of automatically built-in. That is what a good toy does. It allows one to work at their own pace. We found that Buddha Board has that characteristic, for sure! Number 6's mom explained to her daughter's friends that the whole disappearing act is less about "magic" and more about "you can feel your troubles fade away just like you what you draw fades away." I couldn't believe she told a bunch of nine-year-olds that. Did they actually get it? "I think it was a real revelation to them," said her mom. Wow- that is amazing. 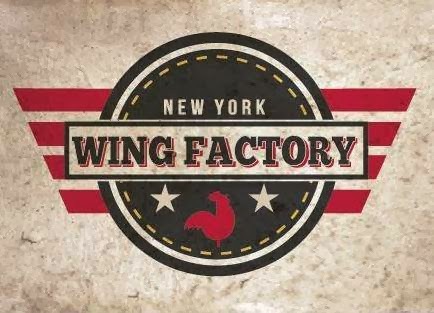 Not long after I heard this, I had a chance to visit NY NOW, an international gift fair in NYC and I was able to try it out for myself there and I finally got to personally experience what #6's family was talking about. You can literally watch what you made fade away. All of this happens so quickly. 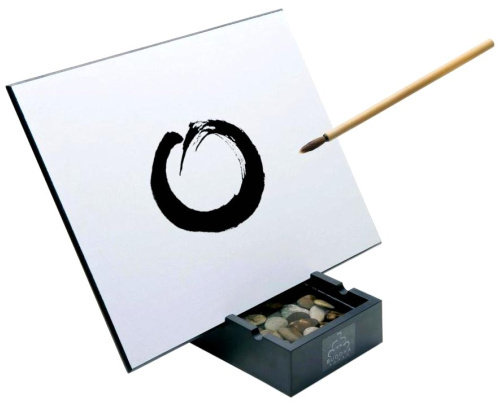 They will have created something lovely (or not) on their Buddha Boards and they get to watch it disappear. Then they get to do it all over again with a new source of energy and inspiration. On a longer timeline, perhaps you can liken it to falling in love or if you really want to be Zen about it, you can say that it is like being reborn. Getting to start all over again is a gift but it takes courage. You can sense that here. If you find yourself saying this, I totally understand. You might have bought one of those goofy water-writing toys for your kids when they were just toddling around. I think such toys are okay but perhaps they are not age-appropriate because watching your work fade away takes a little bit more maturity and patience in my book. 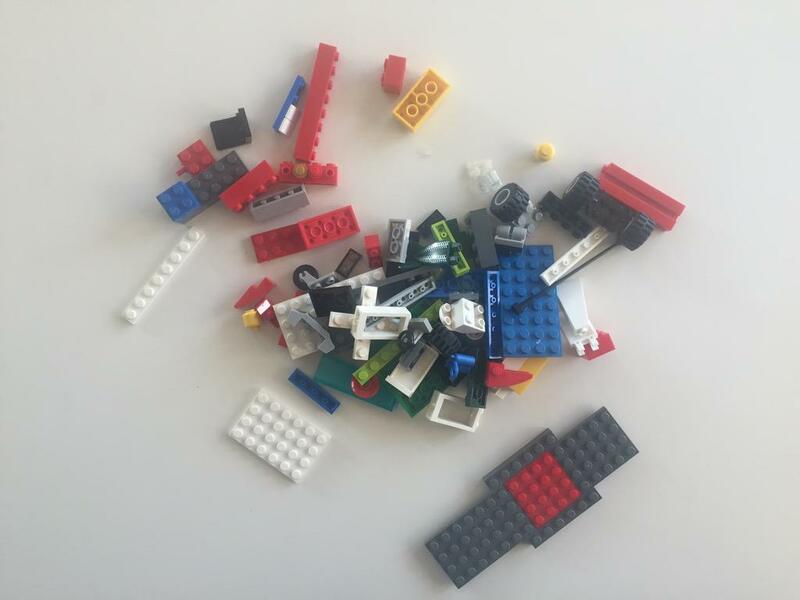 "I don't want to take apart my LEGO house. Just buy more bricks, ok?" See... we can all use some practice in "letting go." Sometimes when my son gets angry, he starts playing with some LEGOs and the next thing you know, he has managed to put the fire out all by himself. He has built nothing extravagant during this time. He is usually doing the equivalent of doodling but it is with blocks instead. When faced with meltdowns, you can't ignore the sensory aspect. Using your hands and body in a focused but not difficult activity can speed up the calming. Number 6's mom will be the first to tell you how calming it is. The Buddha Board sits on their coffee table and she finds herself in front of it whenever she gets stressed out. Number 6 loves it too of course. "She draws on it whenever she gets the chance, I'm not kidding," her mom told me. Isn't she just the coolest? Whatever possessed her to use a cottonball? That's awesome! Man, I want a Buddha Board right NOW. Oh wait!!! My wedding anniversary is coming up really soon! Ooh, I hope my husband won't mind me getting this for myself (from him of course). Darn, does this mean I have to get a Buddha Board for him too- like for his office? His job is very stressful. I think the Buddha Board could rock in the workplace. 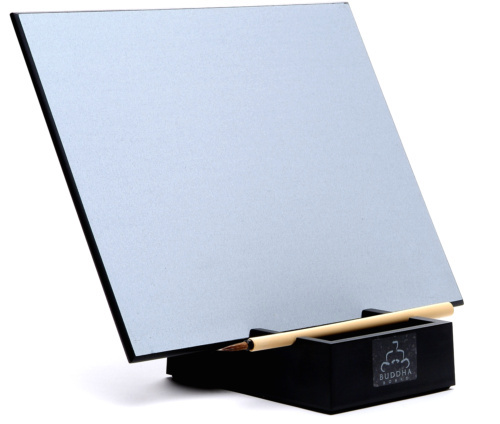 Instead of a candy dish at your desk, I think a Buddha Board would be better, don't you? For that matter, I would hit the floor if I saw this in a principal's office or any other school office where a kid goes after he has screwed up big time. Who knew something so elegant would be right for both kids and grown-ups? My deepest thanks for Number 6 and her family for finding the Buddha Board As #1 would say, it's epic. Oooh, that anniversary is almost here! Yikes. I'd better make up my mind! Thank Heavens for Amazon Prime 2-Day Shipping- I could care less about the free movies and TV. It has saved me from many embarrassments while still allowing me to save money and time. Phew! Now.. do I get two or one... argh!!!!!??? Help! Your Buddha Board won't come with stones but geee... if you were to be getting this for say... your mother, you'd get the stones, right? 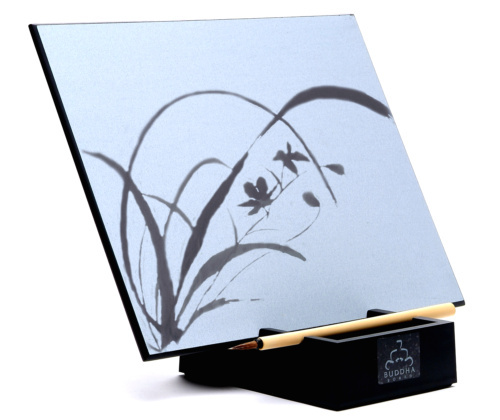 And now try to win one of the two Super Calm Buddha Board Package open to residents in CANADA and the U.S. But there will be TWO Winners!!!!!!!!!! Just fill out the Rafflecopter form below. Hot topics this time are 1-LD Month is coming soon, name some ways to educate so that learning disabilities can be understood as a brain issue and not a behavioral one. It's okay to ask questions. 2- I really want to know where is the best place in your home for the Buddha Board. 1. TAT no longer asks for Facebook Likes as giveaway entries because I think it's against their policy. But I love FB to have chats so please FOLLOW the page! I think it's different from LIKING. 2. Have you ever visited the Buddha Board Facebook Page? They didn't ask me to ask you. (I always say no when folks ask me to require LIKES to win something- Sheesh, I feel yucky just writing that). But you must must must check out these messages and keep them available to you. I love them. Want to get it on Amazon? Please use my link to support Toys are Tools!! You can even bookmark it? yes? yes? Let's make sure this website sees the 2014 HOLIDAY SEASON!!! I want the Buddha Board in my resource room at school. I think my students would really benefit from a few minutes of this kind of downtime, and your points about how it could help teach them to let go are really good ideas. Does it really work for that, though? Some people are not intelligent enough to appreciate it, but in my opinion information is the most powerful influencer. Doubters should SEE the fMRI images showing that people's brains work differently. Chava, GREAT question. For sure, my tester's mother felt as if the kids understood the concept but you probably know better than I do that applying this concept to everyday problems is no small task. If we get to review this again then I can speak with a psychologist on this matter. Because I honestly do believe it can work and that is why it is important for a child to see what HE/SHE did disappear. However, what is the language we can use to help kids make the connection? We'll have to do another review maybe to get that kind of an expert opinion. Thank you for asking. LOVED your question! I would put it in the dining room so we could all share it and enjoy each others creations. I've see one of these before and couldn't keep my hands off it! We have no experience with LD here and wouldn't know what to ask. I guess a list of the most common would be a start and how to detect them as some can probably be undetected for a while, e.g. I've heard of kids thinking that fuzzy letters on a board were the norm until 5th grade! I have an "office" space at home and I'd love to have a Creative Area for more than writing - painting, drawing, clay work, scrapbooking. This would fit right in! LDs and ADHD need a "good" ribbon/car magnet - something that WOULD drive traffic to a resource site. I've long wanted to do something like this. ohmigosh... we think alike!!!! Where is my rubber bracelet? What color should it be? The message on my bracelet could change by the day... ie. "Just get through the day!" and "Read this book and then talk to me. You know nothing!" This Budda Board would be perfect for my 13 year old daughter. She's in middle school, she just "entered womanhood" and a perfectionist by nature. I really would love for her to slow down. She also plays sports and would benefit from having something in her life that will not be critiqued. I love this! My question as far as LD goes: We know that kids can benefit from pull out lessons, services, etc. However, do we know anything about if they "suffer" from it? Do they "miss out" on anything else, as far as social/emotional/cognitive development. I think we would put the Buddha Board in our learning/activity room, which has a nice view in the window. My daughter would love this product and I think she would benefit from it. I had a learning disability growing up that I now know was because I was being forced to learn a way that I couldn't understand. 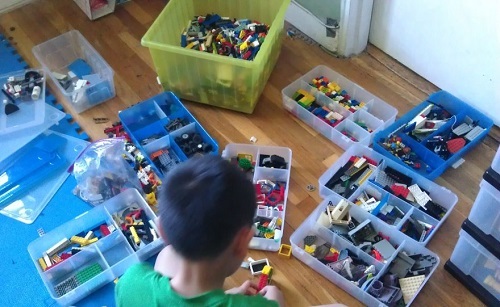 I have decided to homeschool my own children so they are able to grow up learning the way they understand. I think understanding the way a child learns will help those who have learning disabilities. Ooops! Just realized that I tweeted on my job account. :-o Had to delete it. Will tweet again tomorrow under my handle! "Just get through the day." YES! I wonder if the Buddha Board could be used in my son's social skills group. Does it dry quickly enough for several kids to have a chance to draw? Since it helps with stress I could use it in the kitchen when I am trying to get dinner made after work while all kids are underfoot. I think sharing stories on social media like FB is a good way to educate. Recently I saw a video which was shared by many on FB and all over different news outlets about a slam poet who read an OCD's love poem. I thought it helped people feel compassion for someone with OCD rather than think negatively about them.